Harlem Hebrew opened its doors in the fall of 2013 in Manhattan’s Community School District (CSD) 3. Located in the southern end of Harlem, it has a diverse student population that uniquely reflects the multicultural and vibrant dynamics of the neighborhood. It is housed in a newly renovated building that boasts a large gym/auditorium, a full-sized cafeteria and music room as well as spacious, well-lit classrooms. In the Fall of 2020, the School will serve students in grades K-8. Harlem Hebrew is part of the Hebrew Public network of schools. Like its sister schools, Harlem Hebrew offers an academically rigorous curriculum and a focus on global citizenship. “Global citizenship” education includes the development of students’ skills in communication (including learning a foreign language), collaboration, critical thinking, and creativity. It also includes an emphasis on empathy and emotional intelligence. In Hebrew Public network schools, including at Harlem Hebrew, global citizenship education is supported through the daily study of Modern Hebrew (which students learn for at least one hour per day), the comparative study of Israel and of students’ local community, the use of small group instruction, and through our focus on diversity and inclusion. Harlem Hebrew is proud of its inclusive and diverse community, and of its commitment to racial and economic integration. We serve students from all backgrounds, including a high percentage of students with special needs and a growing number of students who are English language learners. Harlem Hebrew is a member of the Coalition of Diverse Charter Schools (www.diversecharters.org). 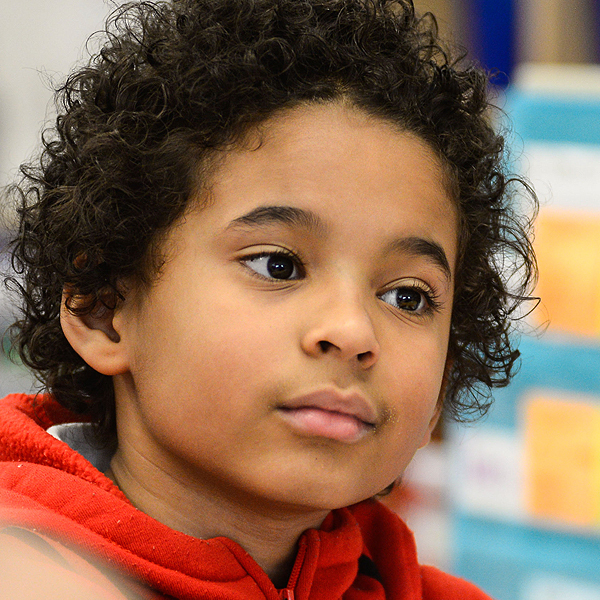 We are strong believers in personalized learning – ensuring that each and every child has the opportunity to grow academically and socially in ways that are tailored to their needs and learning styles. Our personalized approach to learning is enhanced by our small student to teacher ratios – transforming the classroom experience into one of genuine community which in turn promotes positive emotional development in each child. Hebrew Public: Why we do what we do.